University Aerospace Engineering graduate from 2004, Anne McClain, is aboard the ISS having blasted off on Monday from Kazakhstan. Lt Col Anne McClain studied with us from 2002-04, graduating with an MPhil in Aerospace Engineering. 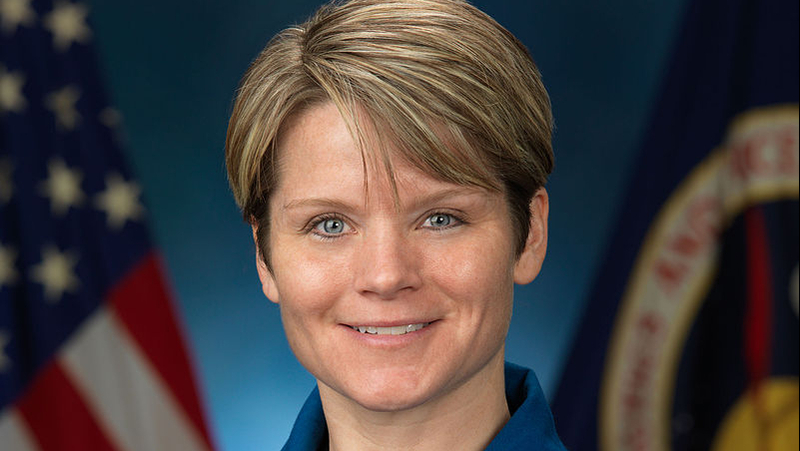 Bath alumna, Lt Col Anne McClain (NASA), has made it to the International Space Station after a successful launch and docking of the Russian Soyuz MS-11 spacecraft on Monday. She joined David Saint-Jacques of the Canadian Space Agency, and Oleg Kononenko of Roscosmos on the mission to the ISS. They docked after a four-orbit, six-hour journey from Baikonur Cosmodrome in Kazakhstan. McClain, Saint-Jacques and Kononenko will spend more than six months conducting hundreds of science investigations in fields such as biology, Earth science, human research, physical sciences and technology development, providing the foundation for continuing human spaceflight beyond low-Earth orbit to the Moon and Mars. Acting Vice-Chancellor Professor Bernie Morley said: “We always encourage our students to aim high in whatever careers they choose. Lt Col Anne McClain is taking this a step further by showing us all that there really are no boundaries to where a Bath degree can take you.